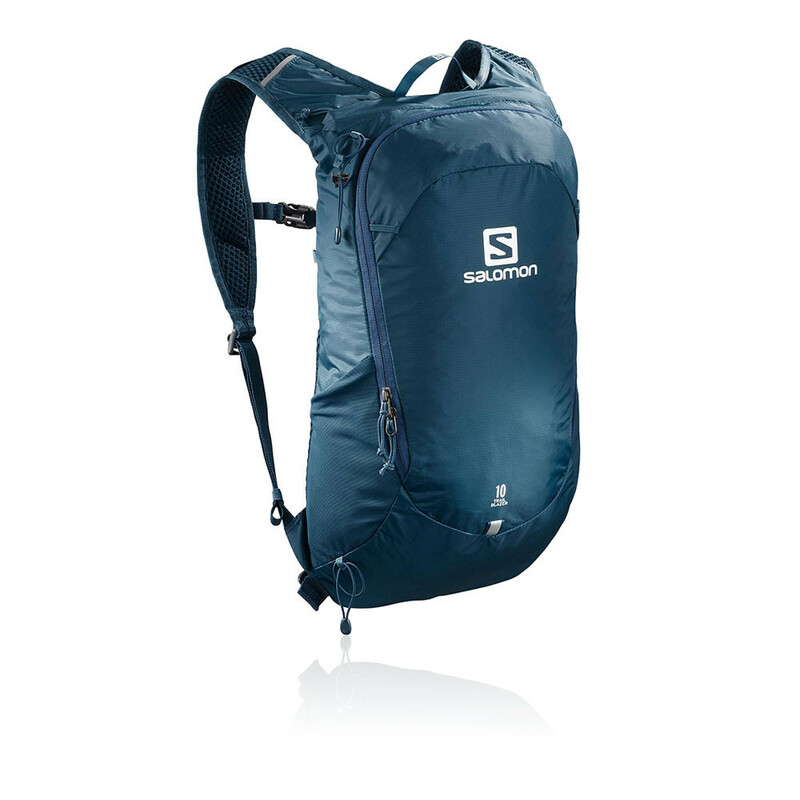 Constructed using a polyester fabrication, the Salomon TrailBlazer 20 Backpack is lightweight, durable and abrasion resistant. Clean lines, high-quality fabrics and a smooth trim make this pack extremely versatile and comfortable for long hikes. A 3D light harness disperses the weight of the pack to increase overall comfort and stability so you can reach the next mile with ease. As well as this, the perforated foam used on the harness has a cooling effect on the body helping you to cool down when temperatures begin to rise. 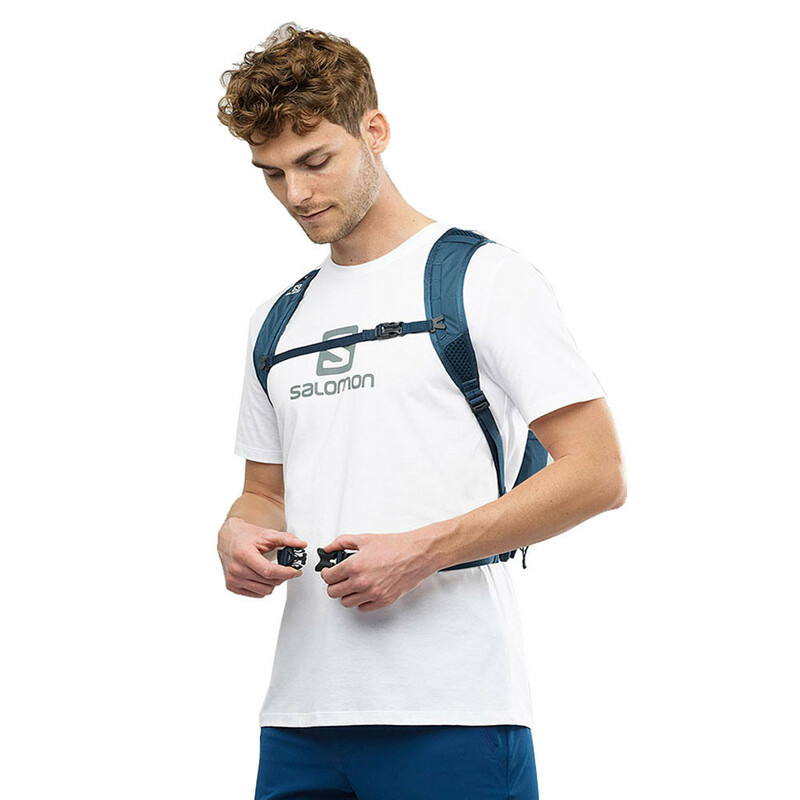 A padded back system and adjustable shoulder straps sit comfortably against the body and can be adjusted to provide an optimum fit. An elastic sternum strap expands when your breathing becomes heavy and prevents you from feeling restricted. 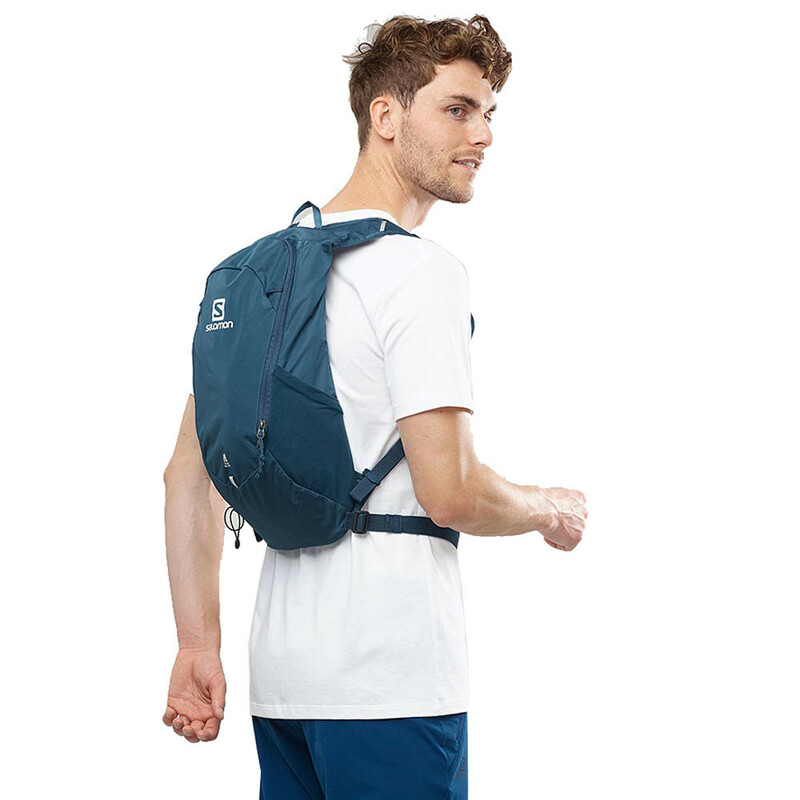 The 10-litre main volume along with stretch side pockets and multiple internal pockets provides ample storage space for all your essential items, plus a YKK zipper ensures quick and easy access to your stored items. Lastly, a pole holder can be used to store poles when not in use and extra loops have been added so you can customise your pack. - 2 side stretch pockets. Polyester Fabric - Is strong and lightweight for all mountain use. 3D Light Harness - Disperse pack weight evenly. Perforated Foam - Has a cooling effect on the skin. Padded Back System - Provides added comfort and reduces the risks of irritability. Adjustable Straps - For an optimum fit. Elastic Sternum Strap - Expands when breathing becomes heavier. Main Compartment - Has a 10 litre capacity. Additional Pockets - Provides added storage space. YKK Zipper - Ensures quick and easy access to essentials. Pole Holder - Stores poles when they are not in use. Extra Loops - Allows you to customise your packs.